The Centers for Disease Control reports that 4.5 million people are attacked by dogs each year. 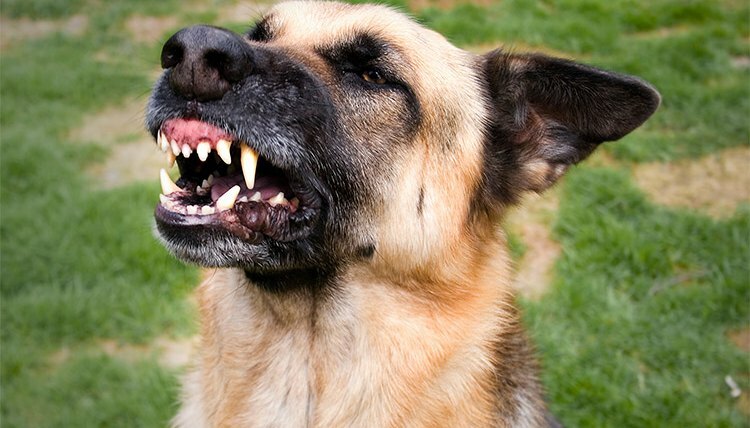 There are numerous causes for dogs to attack, but there are also tell-tale signs which alert us to curb the aggression before it escalates into a full-blown attack. The problem is, we often miss the warning signs and therefore miss our chance of preventing the dog from attacking. In the wild, all dog packs have their own area in which they hunt, live and breed. If another dog enters that area, the resident dogs typically respond with warnings. If those warnings, which include growling, barking and body language cues, are ignored, the resident dogs will attack the intruder. Your dog sees your home as his territory. When new people and dogs come to visit, he may behave territorially. This isn’t the problem in and of itself. Territorial behavior is quite normal. But dog attacks are rarely out of the blue. Dogs are hard-wired to avoid physical conflict so only attack when all other avenues have been exhausted. It is when we ignore the territorial behavior, either by not correcting it at an early stage or by acting as if it isn’t happening at all, that dogs may attack. Protective behavior is similar to territorial behavior, but isn’t linked to just the home. Your dog may have a low tolerance for other people and dogs approaching you in the street. If this happens and your dog begins to growl, stare at or attempts to charge at the perceived threat, he is showing classic protective behavior. If ignored, either by you or the target of the aggression, an attack is probable. Food, toys, safe places to sleep; these are all valued resources to your dog. Resource guarding starts out as a relatively passive behavior. Lucky may simply gather up his toys when a new dog tries to play with them. But if that doesn’t work, he may feel moved to defend his resources with physical aggression. Dogs may attack if you attempt to take away their bowl when they’re eating. This is a common example of resource guarding behavior causing an attack. If Lucky is cowering, stooping, yawning or avoiding eye contact, either with a person or another dog, he’s trying to say one thing very clearly; “hey, you’re scaring me I don’t want any trouble.” If he then starts to growl, he’s saying “ok, you’re scaring me and if you don’t stop, I’m going to react.” Whether he’s been startled, feels cornered or simply feels anxious about being in a certain environment, his fear can quickly turn into attack if ignored. If a dog is showing signs of fear, back off and give him some space.